MP SPEAKS | The inability of Pakatan Harapan to make significant headway among Orang Asli and Malay voters in Cameron Highlands shows how much more work needs to be done. "Winning this by-election is difficult but not impossible. If Harapan can hit the following by-election targets, chances are there for it to eke out a victory. "These include not letting turnout drop below 55 percent, especially among key Pakatan Harapan supporters; achieving at least 70 percent of Chinese and Indian support; increasing Malay and OA support from approximately 10 percent to at least 30 percent; and increasing early and postal voter support from approximately 10 percent to 40 percent." While Harapan was able to mostly achieve the first and second targets, we were not able to get close to the third and fourth. An analysis of the detailed results at the polling districts will show the relevant details. But first, we need to compare the summary figures for the by-election and for the 14th general election. Turnout fell by 9.7 percent to 68.8 percent – which is still quite good, given that the other four by-elections before this experienced an average fall in turnout of 37 percent compared to GE14. BN increased its majority from 597 votes in GE14 to 3,238, and its percentage share of votes increased by 13.7 percent to 54.7 percent. This was mostly due to BN's ability to work with PAS and to win most of its votes (approximately 14.3 percent of the total vote). Harapan’s share of the popular vote actually increased slightly by 1.4 percent to 40 percent. Although turnout decreased by 9.7 percent, the distribution of this drop in turnout was quite different according to the type of polling district. For example, the drop in the turnout in the Chinese-majority polling districts was the highest at 14.5 percent. This was followed by the racially-mixed polling districts (with Chinese and Indians in the majority) which fell by 11.1 percent. The fall in turnout in the Indian-majority polling districts was about 9.4 percent, which mirrors the fall in overall turnout. The drop in voter turnout in Malay-majority polling districts was smaller, at 7.4 percent. Average turnout in the Orang Asli-majority DMs actually increased by 0.4 percent, which is probably a record achievement for a by-election. The higher drop in the Chinese-majority polling districts can be explained by the fact that many outstation voters were less likely to make the trip back home to cast a vote because Chinese New Year is around the corner. Some may also attribute the higher fall in turnout in Chinese-majority polling districts as being a reflection of the discontent at the track record of the Harapan government post-GE14. Both are not mutually exclusive. While turnout in the Chinese-majority polling district surpassed the 55 percent target, turnout in the Indian-majority districts fell approximately 51.7 percent, while the turnout rate in the mixed districts hovered closely to the target. 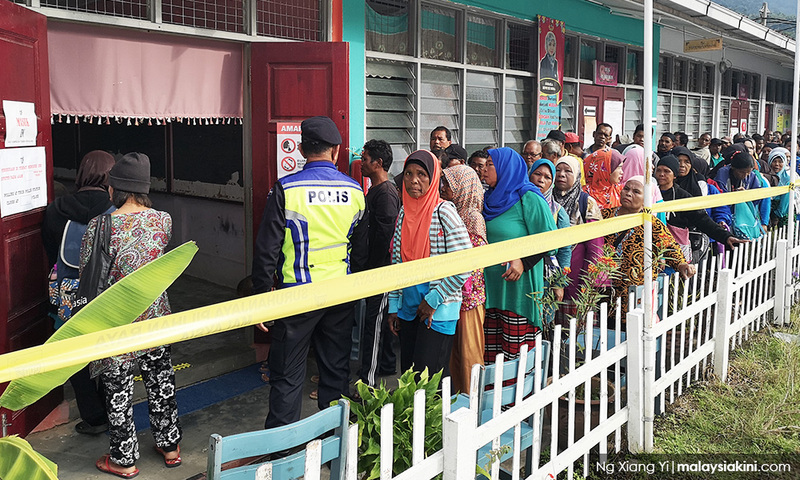 The high turnout in Orang Asli-majority polling districts could be attributed to the probability that a higher percentage of voters live and work in the constituency (hence, fewer outstation voters). It could also be due to the fact that an Orang Asli candidate was being fielded in a parliamentary seat for the very first time by any major party in the country. The different turnout rates among the different communities has the effect of boosting the share of higher turnout of voters as a proportion of the electorate (in this case, the Orang Asli and the Malay voters), and decreasing the share of the lower turnout voters in the electorate (Chinese and the Indian voters). These turnout rates are favourable to BN, which enjoys higher support among the Malay and Orang Asli voters, and are unfavourable to Harapan, which enjoys higher support among Chinese and Indian voters. Interesting observations were detected when changes in voting patterns by the type of polling district are examined more closely. Harapan still managed to hold onto support in the Chinese-majority polling districts, dropping just slightly from an average of 76 percent in GE14 to 73.8 percent in the by-elections. Support for Harapan from the Indian-majority polling districts increased from 42.6 percent to 59 percent. From the perspective of these results, Harapan was able to achieve a 70 percent support level, at least among Chinese and Indian voters in the by-election. Harapan was able to increase its support in the Orang Asli-majority polling districts to 18.5 percent, representing an increase of 11.3 percent. However, this was too far off from the 30-40 percent target that would give Harapan a chance of winning the seat. If there is any silver lining for Harapan in this by-election, it would be the small success it achieved in increasing its vote share in Orang Asli polling districts – such as Pos Lanai and Pos Titum – from an abysmal 0.9 percent and 3.8 percent respectively in GE14, to 27.2 percent and 31.9 percent in the by-election. But most of this increase in support for Harapan in the Orang Asli polling districts came from votes that went to PSM and to a smaller extent PAS in GE14, rather than from BN supporters switching their votes to Harapan. This is why the average support for the BN in the Orang Asli polling districts hardly budged, at approximately 75 percent. Harapan was not able to make any significant headway in Malay-majority polling districts, all of which are in the BN stronghold of Jelai, winning only an average of 9.6 percent of total votes in these polling districts. For BN, it was able to pick up some of PAS’s votes from the Malay community in the mixed polling districts, increasing its vote share from an average of 33.2 percent to 41.8 percent, or an increase of 8.6 percent. But where BN really made a big leap was in the Malay-majority polling districts in Jelai, where it increased its average vote share from 47.9 percent to 86.8 percent, or a whopping 38.9 percent increase. This means that almost all of the votes which were won by PAS in these polling districts in GE14 were ‘transferred’ to the BN in the by-election. Harapan was very far from achieving the target of 30 percent support among the Orang Asli voters (effective support rate was closer to 20 percent), and even farther from reaching the 30 percent support among the Malay voters (still less than 10 percent in the by-election). Of the 213 early votes cast in the Cameron Highlands by-election, Harapan was able to improve its performance by winning 17.7 percent of the total votes cast, compared to 2.3 percent in GE14, an increase of 15.4 percent. BN's share of the early votes decreased from 86.8 percent in GE14 to 78.1 percent in the by-election, but this was hardly enough to dent BN’s overall lead in early votes. 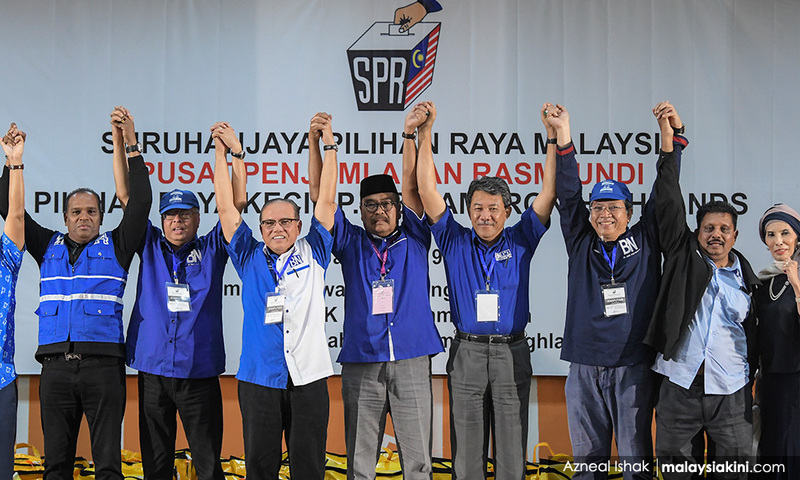 Of the 122 postal votes cast, 70.3 percent were won by the BN, an increase of 13.4 percent, while Harapan experienced a 10 percent hike in postal voter support to 23.8 percent. Most of the PAS support from postal voters went to the BN in the by-election, with Harapan getting the rest of the ‘transferred votes’ from PAS. 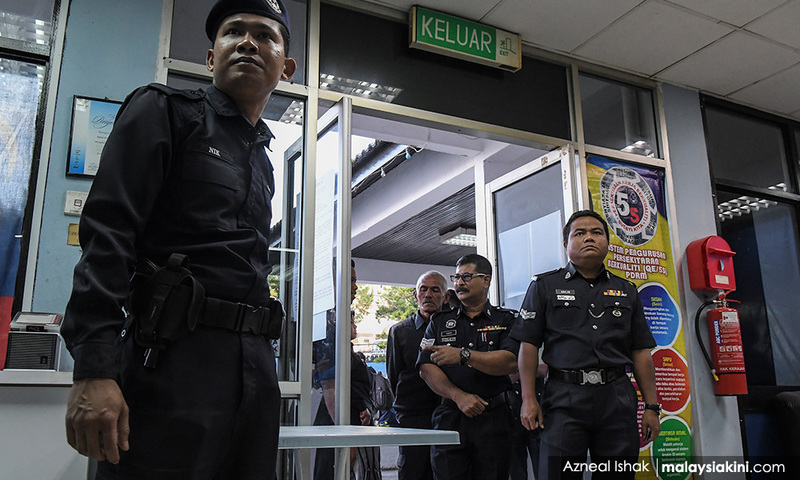 Despite the change in government at the federal level, and the fact that almost all of the early and postal voters are police officers, army personnel or civil servants, Harapan was not able to achieve the 40 percent level of support in the by-election. In hindsight, as many would know, is 20/20. Once it was clear that Harapan had failed to win the by-election, various reasons started being circulated, discussed and debated to explain Harapan’s poor performance. Without any systematic survey, it would be difficult to attribute any specific factor to the by-election results. However, one thing is clear. Just because Harapan is in Putrajaya, we cannot assume that there will be a natural shift in support among groups that have been seen to be more reliant on the support provided by the government. This would include Orang Asli communities and Felda settlers, two of the most important voting groups in Cameron Highlands. Harapan must work much harder and more systematically to win the hearts and minds of these voters. We have another four years, and counting, to take on the lessons learned from this by-election. ONG KIAN MING is the MP for Bangi and DAP assistant national director for political education.